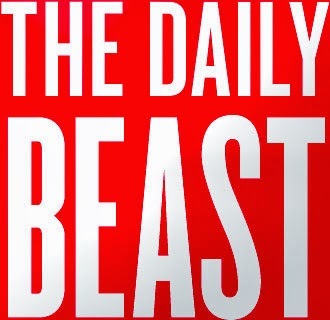 The Daily Beast today wrote on its segment BACKLASH about a response from Afghans on twitter regarding Leslie H. Gelb’s article on The Daily Beast, “To Hell with Karzai”. Without directly quoting from the article “Karzai Remarks, Not News!” The Daily Beast misinterpreted the point the I wanted to convey. In response, I would like to reiterate their point and clarify that in fact, we did not and do not support the claims made by the Daily Beast. In my analysis of Karzai’s remarks regarding the Taliban and the United States, I argued that the media misinterpreted what President Karzai said in his speech on International Women’s Day. As I wrote, “The next hour, media outlets around the world carried his remarks in bold and some interpreted them in their own way.” Ironically, the article was itself misinterpreted by The Daily Beast. As the Daily Beast tried to understand the fury of Afghans on Twitter in response to Gelb’s outrageous article, they seem to have been in search of an alternative perspective against the one that Afghans on Twitter had; misinterpreting my article, then, the Daily Beast claimed, “....blog took Gelb’s side, arguing that Karzai often references invalid theories of collaboration between Taliban and NATO forces.” Yet in fact, I neither mentioned the Daily Beast remark in my article nor had I read it at the time I was writing my article. In response to the “invalid theories”, I would like to clarify that the article did not suggest one thing or the other but balanced the argument by explaining what the Afghans started to think about the United States’ position regarding the Taliban after 2003; Karzai’s statement echoed the Afghans’ position because he knows his people well the way Dr. Najibullah did. In an effort to explain how the idea of “doubts” regarding others’ position on something in Afghan society works, I used the quote from Sarah Chayes’s book in the article. I would like to take the opportunity to reiterate that the I do not agree with Leslie H. Gelb for what he has written in his article “To Hell with Karzai” and the way he has tried to “interpret” the President’s remarks and his portrayal of the ethnic makeup in Afghanistan. Like most educated Afghans, I believe that dividing the Afghan people on ethnic basis will only be an effort to jeopardize the peace-keeping efforts of not only the involved-in-Afghanistan International community and the rest of the world that stands in solidarity with Afghans for democracy, development, and rebuilding of their country, but also of war-weary Afghans who have suffered for three decades.